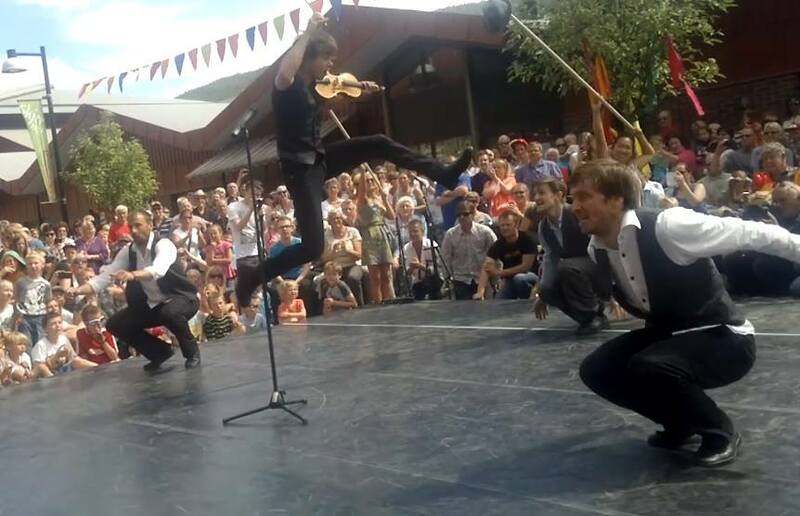 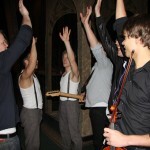 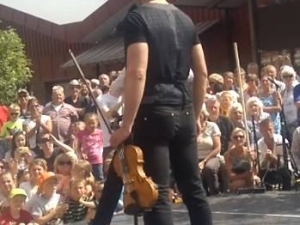 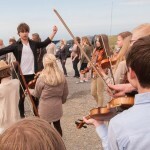 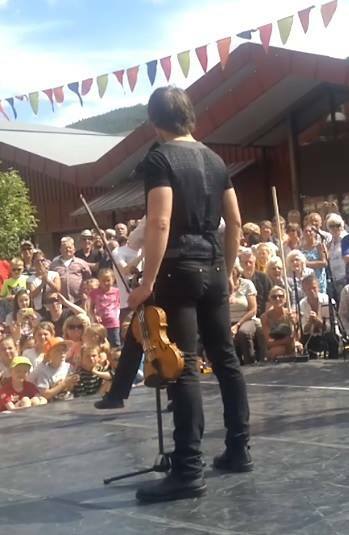 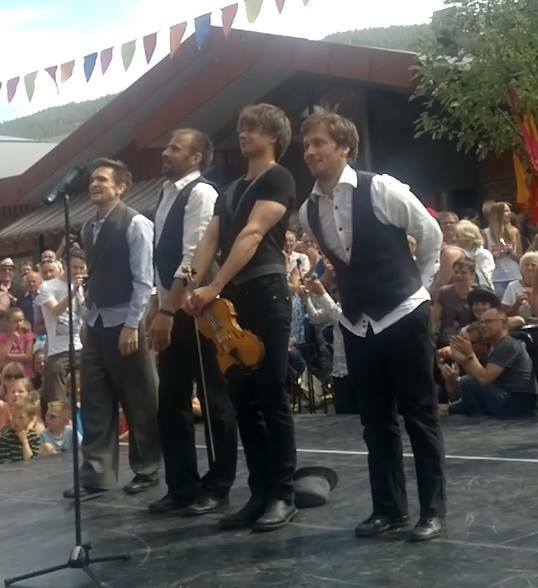 From May 30th- 31st, Alexander visited the “Folkemusikkveka”-Festival in Ål, Norway. 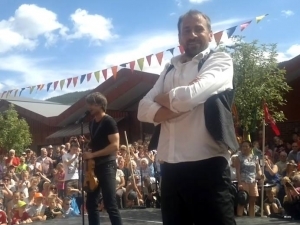 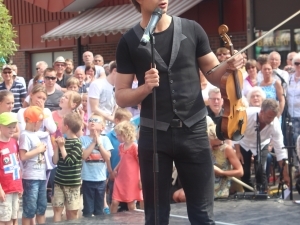 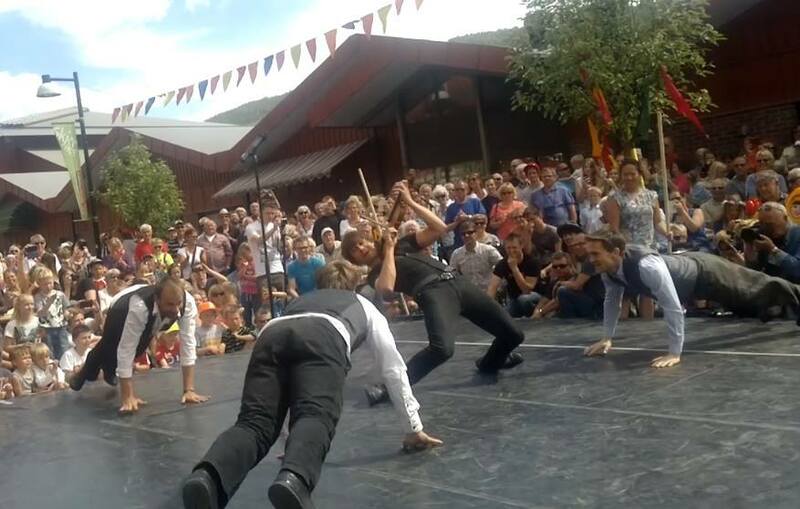 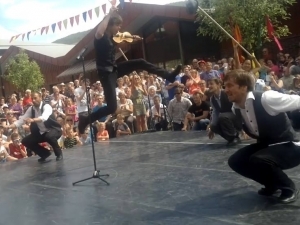 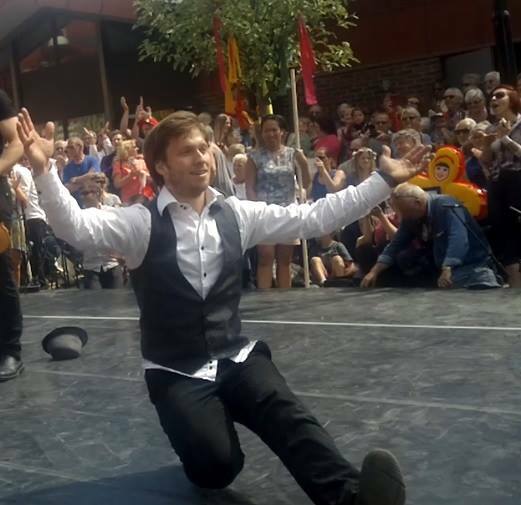 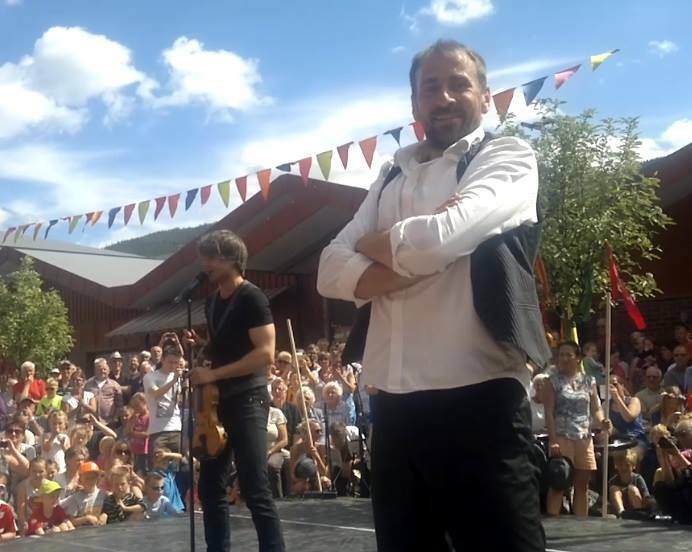 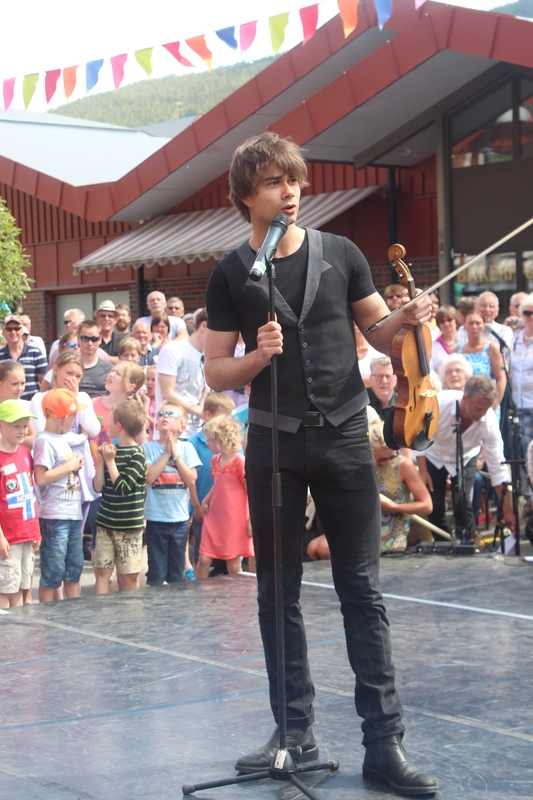 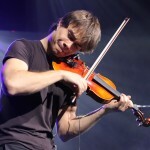 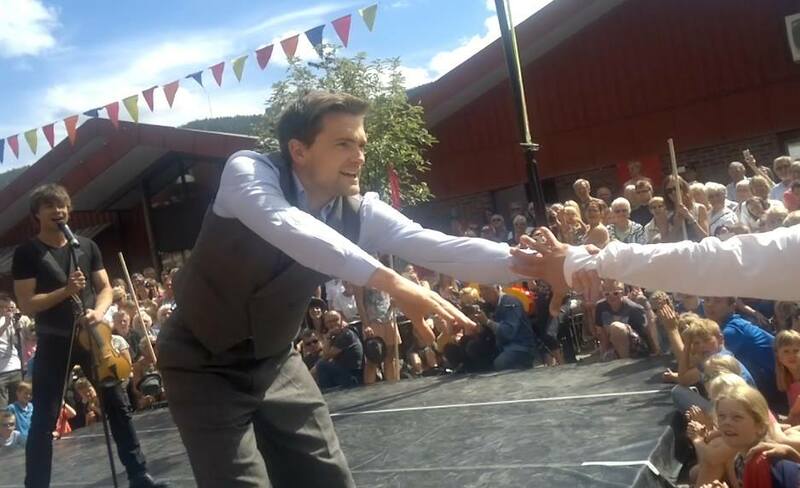 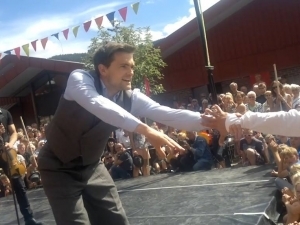 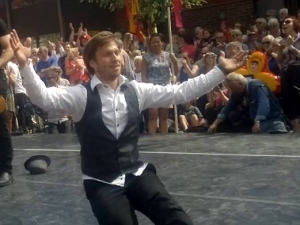 On Saturday, 31/5, he performed outdoors in the town center of Ål, together with the original FRIKAR dance-crew from his winning peformance at Eurovision Song Contest in Moscow 2009 – Hallgrim Hansegård, Sigbjørn Rua and Torkjell Børsheim. 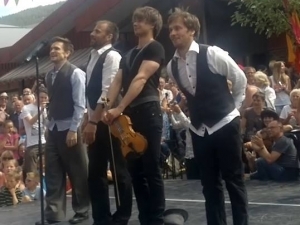 They performed “Fairytale” – in the original choreography from Moscow 2009. 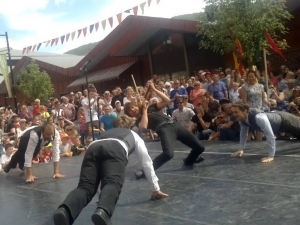 The “Halling-dance”, that FRIKAR perform , is an old folk-dance, that has it´s origin in the Hallingdal ( Halling-valley ), where Ål and “Folkemusikkveka” is located.